A genius little combo you can play with anywhere! 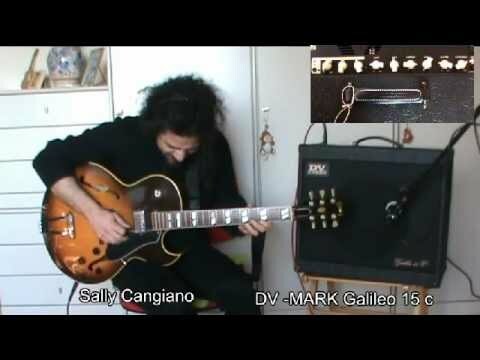 The design of the Galileo 15C combo was conceived in response to the real needs of gigging guitarists. It was also inspired by the impact of the very first note of the Galileo 15 head’s UK debut, which drew a collective “WOW” from the crowd. The combo has all the basic features of the Galileo 15 head, plus a high-quality analog Accutronics spring reverb and a built-in, foot-switchable DV Mark Tube Marker overdrive pedal. Voiced for sweet, vocal overdrive tones, the Tube Marker provides the ideal OD pedal circuitry to pair with the unmatched headroom (for a 15 watt amp) and tube-driven clean and OD tones of the Galileo. It’s an addictive 15W class A, all-tube combo that with inspire you with its personality, and impress you with its incredible tone, versatility, feel and reliable performance. It’s the ideal amp for recording, rehearsing and club gigs! Weight (kg/lbs): 12,8 kg / 28.22 lbs.